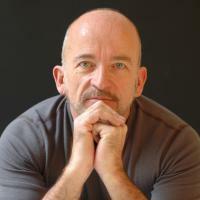 Mark Doty is the author of nine books of poetry, including Deep Lane (April 2015), and Fire to Fire: New and Selected Poems, which won the 2008 National Book Award, and My Alexandria, winner of the Los Angeles Times Book Prize, the National Book Critics Circle Award, and the T.S. Eliot Prize in the UK. He is also the author of three memoirs: the New York Times-bestselling Dog Years, Firebird, and Heaven’s Coast, as well as a book about craft and criticism, The Art of Description: World Into Word. Doty has received two NEA fellowships, Guggenheim and Rockefeller Foundation Fellowships, a Lila Wallace/Readers Digest Award, and the Witter Byner Prize.